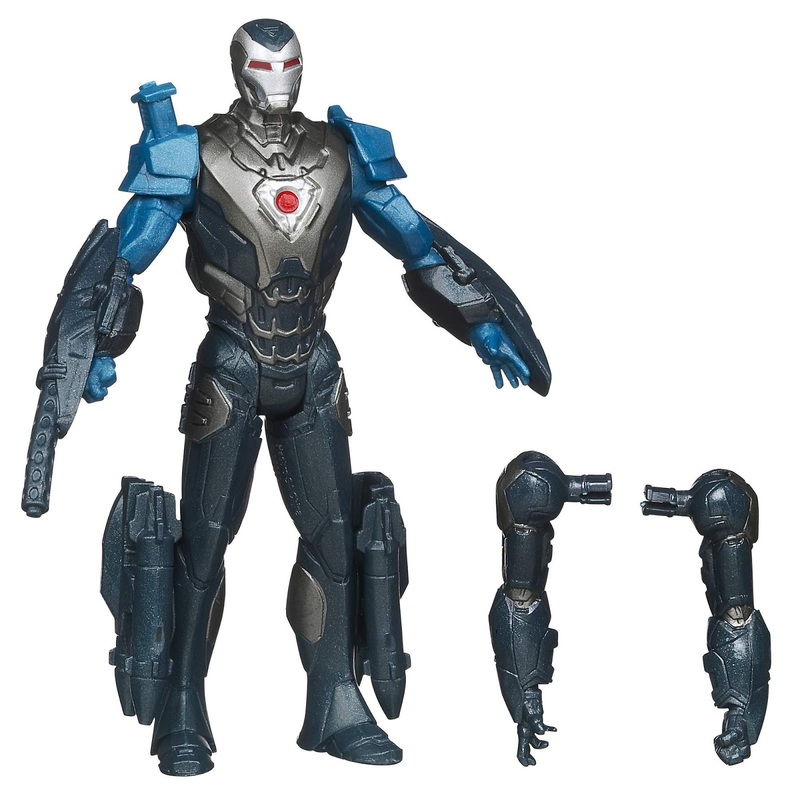 They've shown us some brilliant figures (like the Avengers Black Widow, and the GI Joe line's Renegades Storm Shadow and POC Low-Light), but recently, what they've been showing us even more, is that they prefer to cash in on a cheap buck via summer blockbuster licenses, with a major cold shoulder towards the adult collector base. 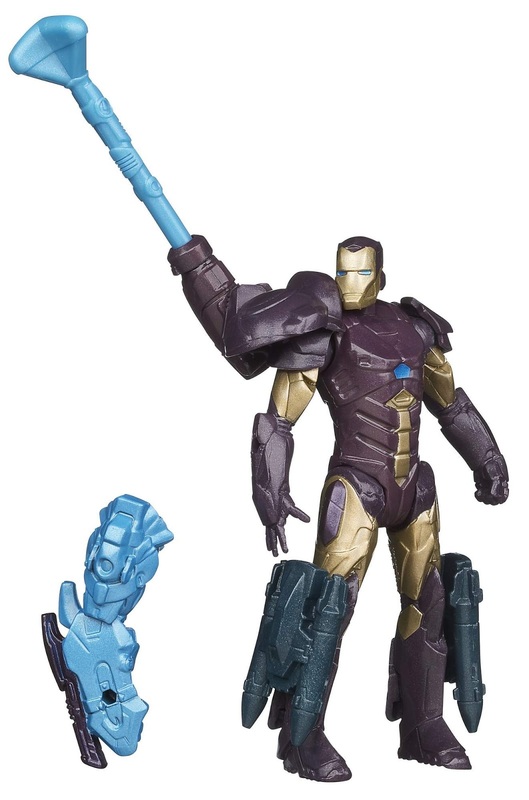 Anyway... 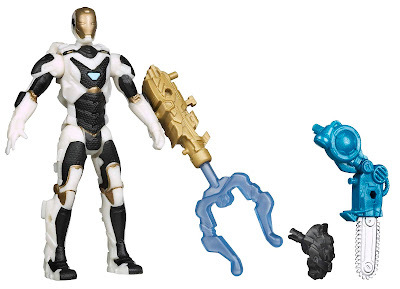 I'll climb down off of my Hasbro soapbox and get to the pics of the crap-- I mean, figures. Once again, the sculpting and designs look good-- but the end result looks like cheap dollar store figures. 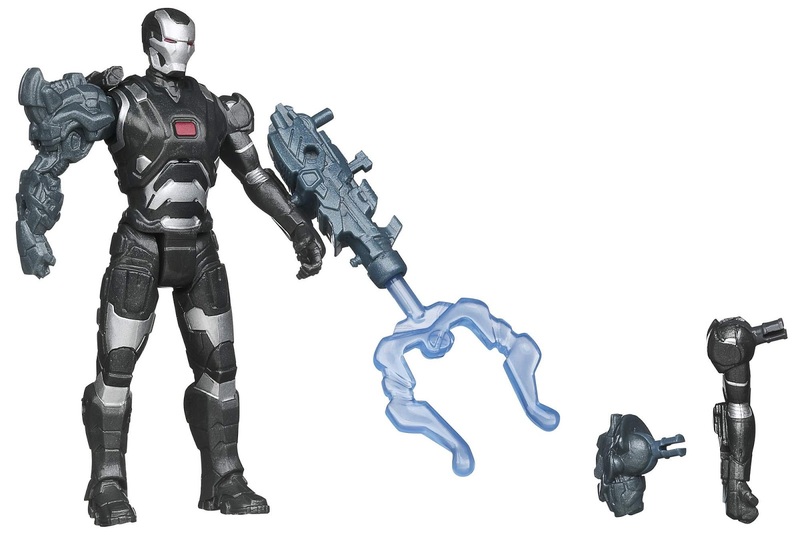 Extremely limited articulation and paint apps along with these crap jumbo weapons that Hasbro feels that every movie figure must have take away from what these figures could have been. 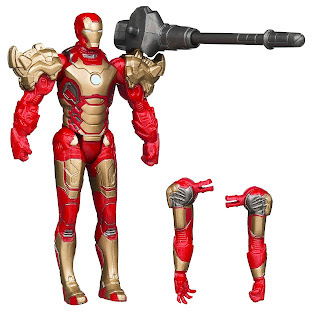 Announced but not shown yet is the 6" Marvel Legends style Iron Man 3 figures. Now these should be more of a "collector's line", so if Hasbro drop the ball on them then I think collectors have a reason to be concerned for the future. 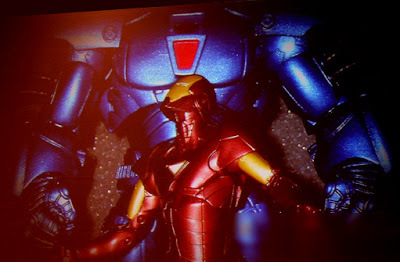 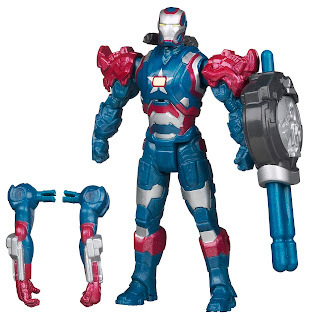 Slated for that line is the "Classic Horned Iron Man", "Heroic Age Iron Man" and the "Iron Patriot". The interesting thing about this line is that each figure comes with a piece of a build-a-figure to make an "Iron Monger" figure.